Canada, Colombia, Dominican Republic and Nicaragua are the final four teams to qualify for the baseball tournament at the Lima 2019 Pan American Games. 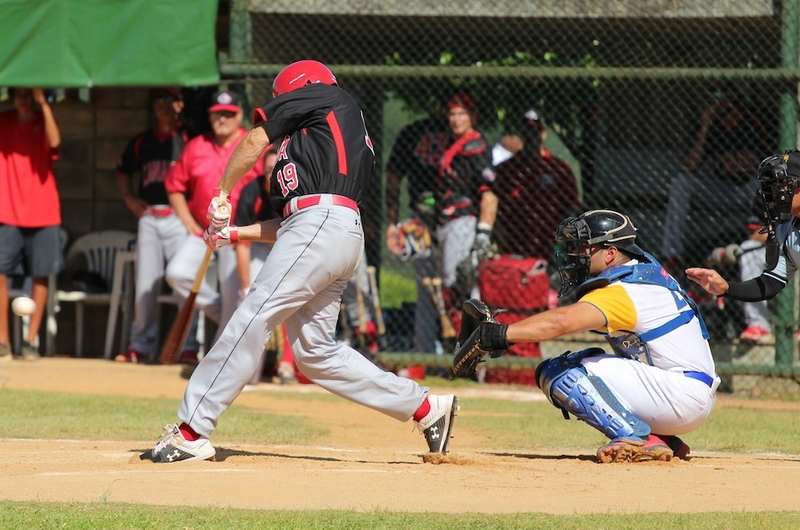 The Baseball Qualification Tournament for the Lima 2019 Pan Am Games began on January 26 featuring seven teams still trying to earn their spots to the continent’s top sporting event this July in Peru. The teams were divided into two groups, with Group A containing the host nation Brazil, along with Dominican Republic, Mexico and Nicaragua, while Group B consisted of Canada, Colombia and Panama. The two teams that advanced from each Group to the semi-finals of the qualification tournament would also gain entry to the Pan Am Games. Canada and Colombia were the firsts to secure their qualification to Lima 2019 at the tournament in Sao Paolo, Brazil. Canada now has the chance to defend their consecutive gold medals won at the Guadalajara 2011 and Toronto 2015 Pan Am Games. The teams in Group A fought until the very end to qualify for Lima 2019. After rain delays and a few postponed games, the last two semifinalists were determined on Friday, February 1. Mexico defeated the Dominican Republic 3-2 in the first game of the day, but the Tricolor team needed Brazil to defeat Nicaragua in the afternoon in order to qualify for the semi-finals and the Lima 2019 Pan American Games. Brazil and Nicaragua resumed their game that was postponed due to rain after just four innings on Tuesday. The final five innings were played on Friday with Nicaragua winning with a final score of 6-2, giving them enough runs to qualify to the semi-finals. Nicaragua’s win also eliminated Mexico from qualification and allowed the team from Dominican Republic to make the semi-finals despite their loss in the morning. Each of these teams finished with a 2-1 record in Group play with average score differential serving as the tiebreaker, giving the edge to the Dominican Republic and Nicaragua. Nicaragua will now face Colombia in the semi-final while Canada will square off against the Dominican Republic, with the winner of each game advancing to the final of the qualification tournament. After the tournament concludes, the teams from Canada, Colombia, Dominican Republic and Nicaragua will begin preparing for their competition at Lima 2019. Four other countries already qualified for the Pan American Games before the qualification tournament in Brazil, including Argentina, Puerto Rico, Cuba and the Host Nation of Peru. With the competitive field now finalized, the baseball competition at the Lima 2019 Pan Am Games will undoubtedly be one to watch when the Games return in July.